Here's a fun post from Lydia Dishman and Fast Company. If one of your goals for 2019 was to advance your business or career (and maybe bump up your income) you’re likely angling for the best strategy to get it done. Advice at this time of year is plentiful and includes some fresh perspectives like writing a letter to your future self. However, before you sit down with your supervisor, or a potential investor or client, it might be better to ask them out for a cup of coffee or tea instead of meeting in your office. That’s because your powers of persuasion may get a boost while they cradle a comforting cup of their favorite hot beverage. This is all part of a larger area of study called "embodied cognition" which is the concept that the brain is connected to the body and doesn’t act as if it is completely divorced from physical signals. In the case of the warm cup, researchers such as John Bargh of Yale did a series of experiments to prove that touching different objects has the power to influence perception. To prove the theory of the warm cup, participants in one study were briefly handed cups of coffee (either hot or iced)(or maybe a pack of Punch'd?) to hold while a research assistant recorded their names. They weren’t made aware that the cups were part of the experiment. During the experiment, participants were asked to rate a stranger’s personality. Additional experiments showed that subjects who were handed jagged jigsaw puzzle pieces were more likely to rate an interaction between two people as charged, and those who held weighty clipboards rated the jobseekers they interviewed as more important. These studies influenced the work of Thalma Lobel, a psychologist at Tel Aviv University. Lobel looked into how things we touch, smell, and feel unconsciously sway our minds, and published her findings in a book titled Sensation: The New Science of Physical Intelligence. Lobel points out that there are myriad ways to set someone on the path to be more easily persuaded by your pitch. Warm, pleasant weather, for instance, not only serves to brighten someone’s day, but that time-worn conversation starter can serve the same purpose. 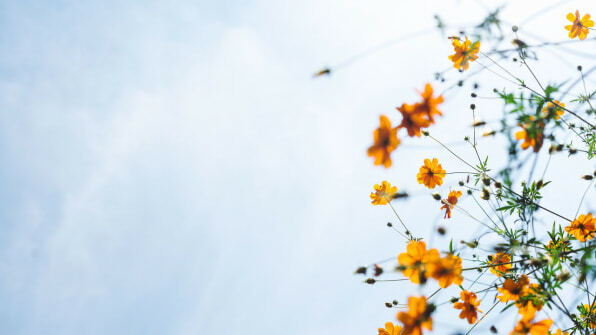 “‘How about this weather?’ is actually polite code for ‘What’s going on with you?’ The answer to this seemingly innocent question may sometimes influence your judgements and decisions,” Lobel writes. This would indicate that should you start the conversation about the weather, it may be best to stay on the sunny side of your assessment. If it’s cold and gray outside the window, better stick to commenting on how warm and cozy it is in the place you’re sitting. Firm handshakes get all the attention, but when it comes to negotiating, a light touch may be all you need to sway the results in your favor. Lobel writes that touch can influence whether adults comply or take a risk. One study from the University of Minnesota showed that people who “found” money were more likely to give it to the person who was inquiring about losing it if that person touched their elbow when asking. Another study from Cornell University found that a when a server touched them on the shoulder, customers increased the amount of the tip they gave. And then let your boss take it. Research finds that people’s behavior differs when they sit in softer chairs. A group participated in a study that simulated negotiating the price of a car. Those “buyers” who snuggled down in a comfy chair were more likely to increase their offer by as much as 40%. 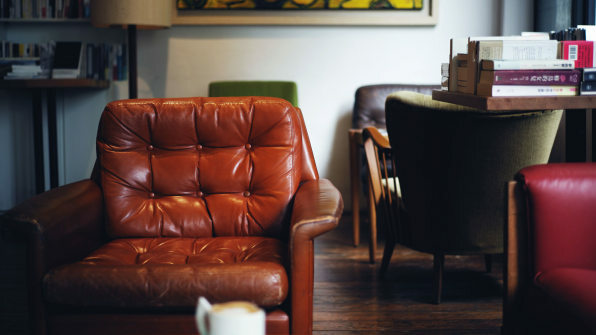 As most coffee shops and restaurants have a variety of seating to select from, scope the room and choose carefully. Keep your companion in the comfort zone and save the more straight-backed, less-giving option for yourself so you can stay firm on your pitch. Those in the business of selling real estate know that there’s nothing quite like walking into a home that smells like fresh baked cookies. Now, there won’t be time and place to boil a cinnamon stick (the no-mess shortcut many realtors use to simulate baking) before you sit down and start talking, you can be sure that the olfactory powers of persuasion are in full effect inside a cafe. 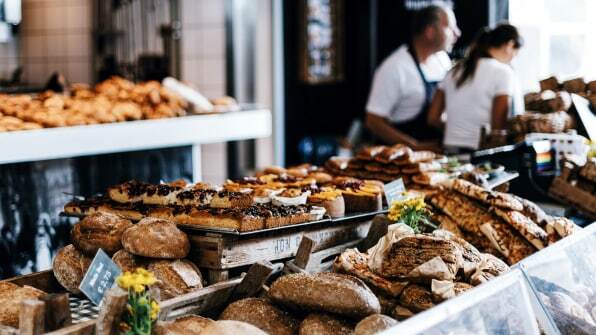 A French study shows that the smell of freshly baked bread brings out positive emotions and makes people more willing to help each other, while the scent of cinnamon improves attention and memory. Of course, these studies (like the one with the clipboard) have been met with criticism from some researchers who haven’t been able to replicate the findings. However, that could have been in part because certain parts (like location) weren’t duplicated exactly like the original. Regardless, it won’t hurt to try these tactics out when you’re ready to reach that next professional milestone. Choose to make it a warm cuppa at a bakery or cafe with comfy seating. Be sure to counter your firm handshake with a light touch on your companion’s shoulder. And don’t forget to talk about the promise of amazing weather.